May seems to be shaping up to be Community Performance month. Coming up on May 11th, Chhandika will be delighted to participate in the International Night festivities at the Peirce Elementary School in Arlington, MA. Five young kathakas ages 7 to 8 will perform the story of Kaliya Daman–young Krishna battling the water serpent Kaliya–with choreography by Pandit Chitresh Das. Following them will be three members of the Chhandika Youth Ensemble performing a version of the Hamsadhwani Tarana, composed by George Ruckert and choreographed by Gretchen Hayden. On May 19th, two performances will be taking place, one in Marlboro, MA, and one in New York City. 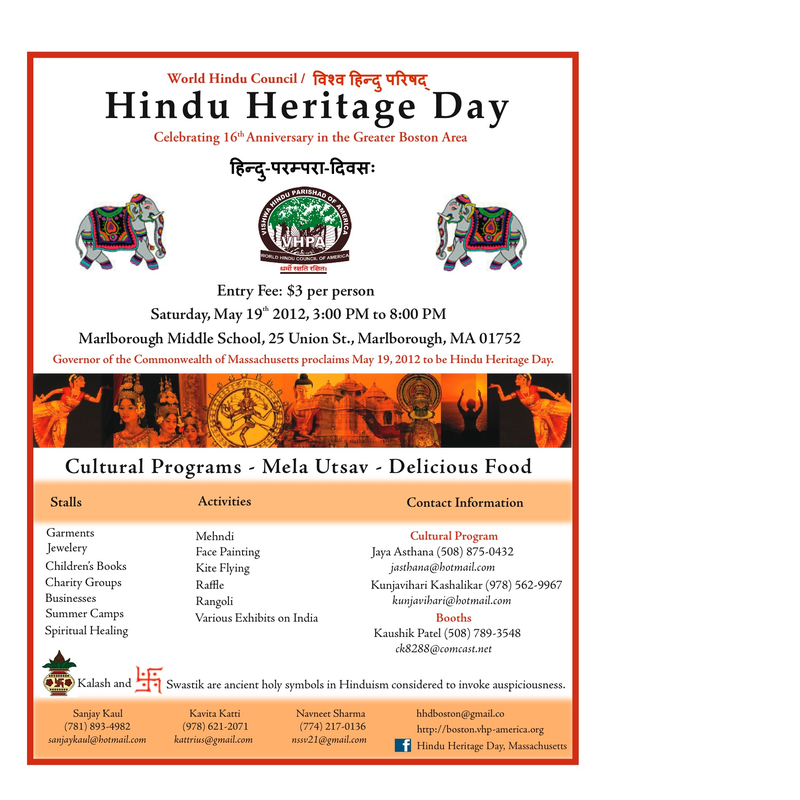 May 19th is Hindu Heritage Day in Massachusetts, and members of Chhandika’s Youth Ensemble will perform a cultural event put on by the World Hindu Council of America. At the same time, dancers Ashyka Dave and Dien Magno, students of Pandit Chitresh Das, as well as Shefali Jain, a student of Gretchen Hayden, will be dancing at the New York Dance Parade and Festival at Tompkins Square Park. This is a massive, dazzling and uplifting event, free to the public. Anyone in NYC is urged to go catch some beats that day! No kathak in this short clip, but what a celebration of dance! Click here to share and invite people to the kathak segment. Pandit Chitresh Das and Jason Samuels Smith, the “Fastest Feet in Rhythm,” are wrapping up a 5 city India tour, ending with a solo performance by Pandit Das at 8:30 pm tonight at the Darpana Academy of Performing Arts in Ahmedabad. Pandit Das and Jason Samuels Smith were in Chennai on 1/22, Mumbai on 1/26, Bangalore on 1/29 and Goa on 1/31, performing to packed and enthusiastic audiences. Pt. Das and Jason Samuels Smith in Chennai, India, Jan 2012, photo by Moogambirai R.
This photo and others from the Chennai performance available to view here. Click here for an interview with Jason in Deccan Chronicle, and here for a review of the Mumbai performance. After Guruji’s Mumbai solo, we headed out to Chennai on an early flight. We land, get to where we’re staying, and makeshift a rehearsal room for Fastest Feet. We find a piece of broken / crooked wood that Jason somehow can rehearse on. Jason and Guruji start pounding away- the energy is brought to Chennai immediately. We then proceed to a press meet where newsreporters are awaiting, cameras are flashing, and Jason, Guruji, Seema, Seema’s cousin Suraj and other Kirtilal members are lined up behind the podium in their jewelry store in front of jewelry that we cannot fathom the price of. There they speak about bringing the classical art of the Shinde jewelry exhibition together with the classical art show of Fastest Feet. The next day is extremely exhausting, as the sound / tech people are trying to scramble together such a highly fine-tuned, technical production. 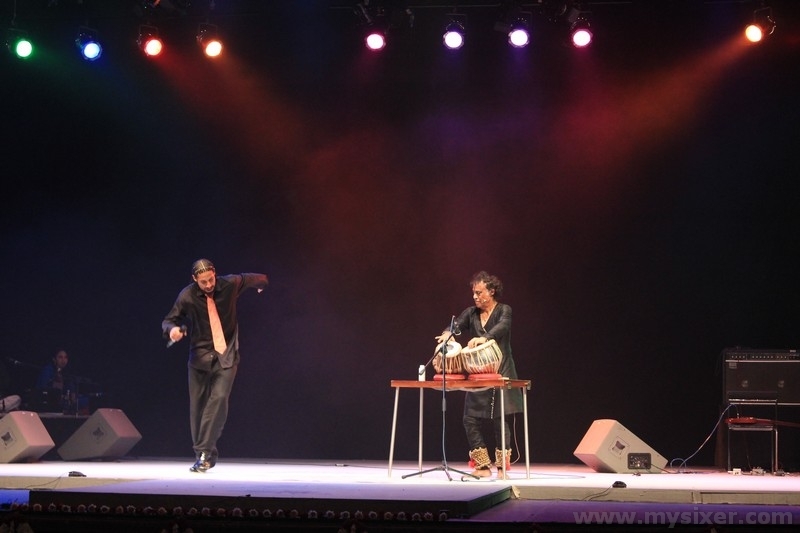 Guruji performed Sita Haran, and in this particular show he had the mridangam player Ramakrishnan as well… so the stage came alive in a special way with the rhythms and stories of South India ringing in everyone’s ears as they completed their 1st show of the Fastest Feet Winter tour. Back to Mumbai – this was yet another special show for so many reasons! Fastest Feet clearly has much love here in Mumbai! The two days before the show we had press (newspapers, TV, radio, etc.) over interviewing Guruji and Jason. In addition to Fastest Feet, we opened the show with children of Chhandam-Mumbai giving the invocation. [Roaring claps from the 1000-seat sold-out audience!!] Then an advanced young childrens’ group performing, to the adults performing a very catchy piece to Debashisda singing a Rajasthani tune. After that I performed, and then Fastest Feet began. This was a really significant beginning because it represented the legacy that Guruji created in India! And the show being done on India’s Republic Day- how fantastic. Seema Mehta spearheading all of this on her own, added the perfect touch by putting a giant Indian flag in the backdrop for this auspicious occasion. Then every single piece in Fastest Feet gets roaring claps of thunder and shouts, waves of energy being bounced back and forth between Guruji, Jason, the musicians, and the audience… sheer excitement and joy emanating from TATA Theater for 2 hours straight! Finishing emotionally with Raghupathi Raghava and Sare Jahan Se Accha, Guruji and Jason bowing down to the flag, and then ending in each others arms… magical.